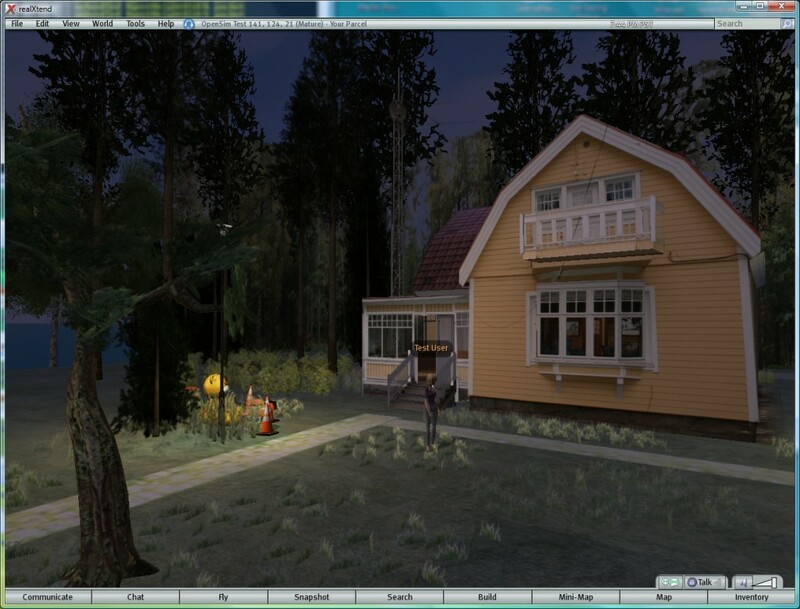 It is some years since I experimented with realXtend, which originally spun out of the OpenSimulator community code base, but quickly added mesh capabilities, long before this became the norm in OpenSim and Second Life. The quality of the image from one of these early tests of realXtend version 0.1 by me in 2008 is shown below, and its far more detailed than the simplistic prim worlds allowed at the time in OpenSim and Second Life. 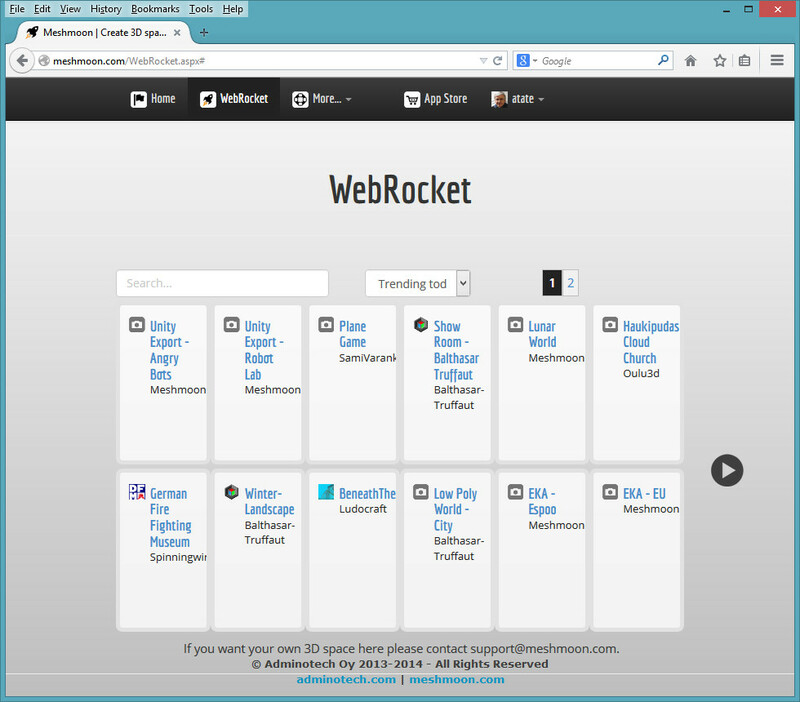 The latest server side versions are called realXtend, the viewer client is called Tundra and there is a web-based client called WebTundra. Meshmoon is a platform for showcasing realXtend and related applications and technology. The avatar does not appear to be customizable and is definitely NOT wearing the correct head gear for the Lunar surface! The example on the web page did not launch for me, even after manually associating the Tundra file that should be used with the preinstalled Tundra .exe file. It simply reported that Tundra had started but no active scene was selected. 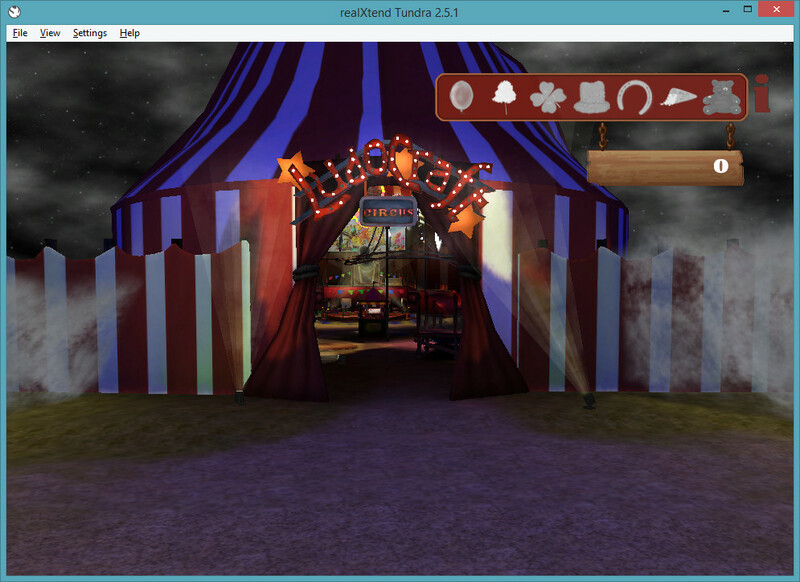 However, with the realXtend Tundra client installed, I was then able to download and unzip the Circus demonstration example into a suitable location and open the CircusScene.txml (Tundra Scene File) within it which launches Tundra and opens at the entrance to the circus tent. There is no documentation I could find on installing and running the Circus demo within the web page or the zip file… so its difficult to know what you do next. The arrow keys do not move the viewpoint and none of the icons except the information “i” does anything I can see. The camera could be moved about with the mouse and spacebar and “C” did shift the viewpoint up and down. No avatar is visible. 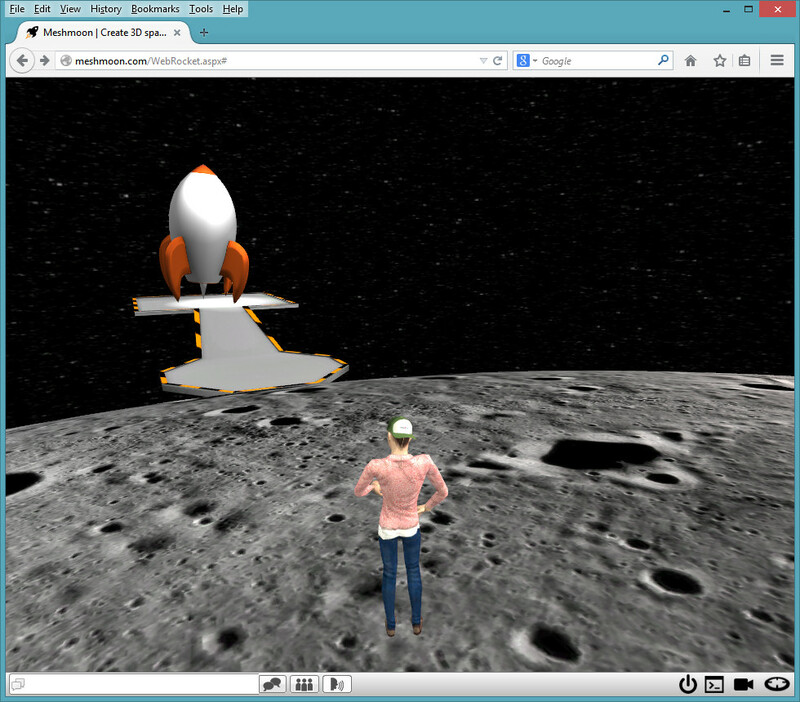 A utility to export some parts of a Unity3D created world into Meshmoon is available here… along with a demonstration of such an export that can be run in a WebGL/WebSockets browser such as Firefox… via http://meshmoon.com/webrocket/unity3d. The demonstration does allow the usual avatar movement via the arrow keys, spacebar for jump, etc. and the movement of the camera with the mouse. Experiments with adding content will follow. This entry was posted in OpenSim, Virtual World, Web and tagged Meshmoon, realXtend, Tundra, Virtual World. Bookmark the permalink. 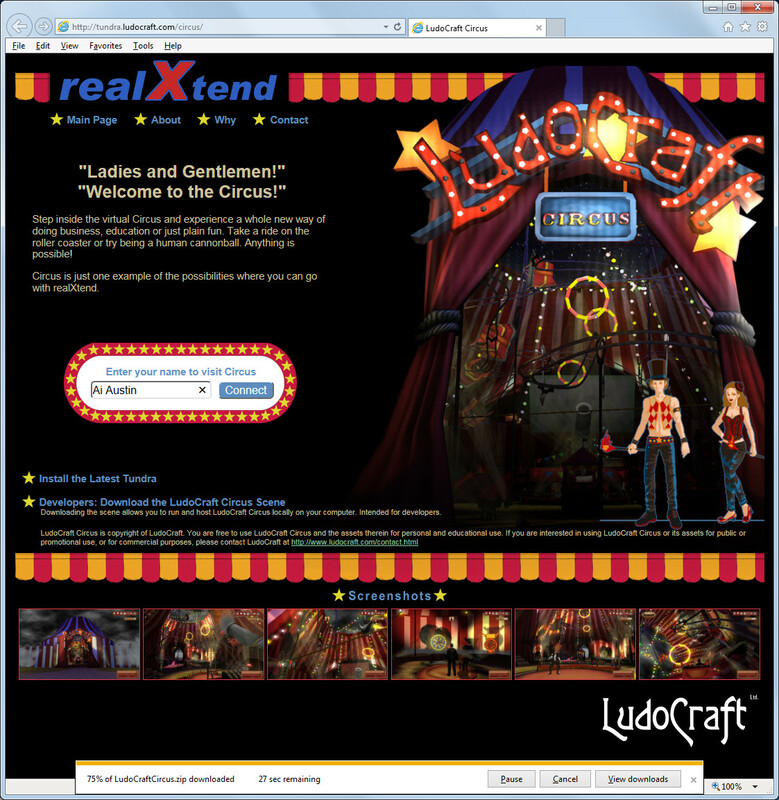 Apparently the script assets that http://tundra.ludocraft.com/circus/ uses are a bit outdated and hence f.ex. in-world chat is missing. 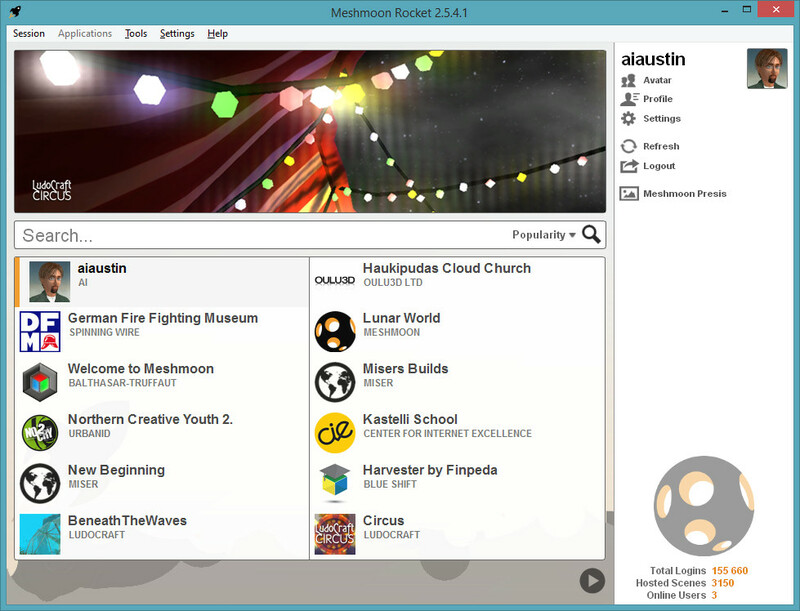 You can find the LudoCraft Circus also in Meshmoon in fully working form. Good article. 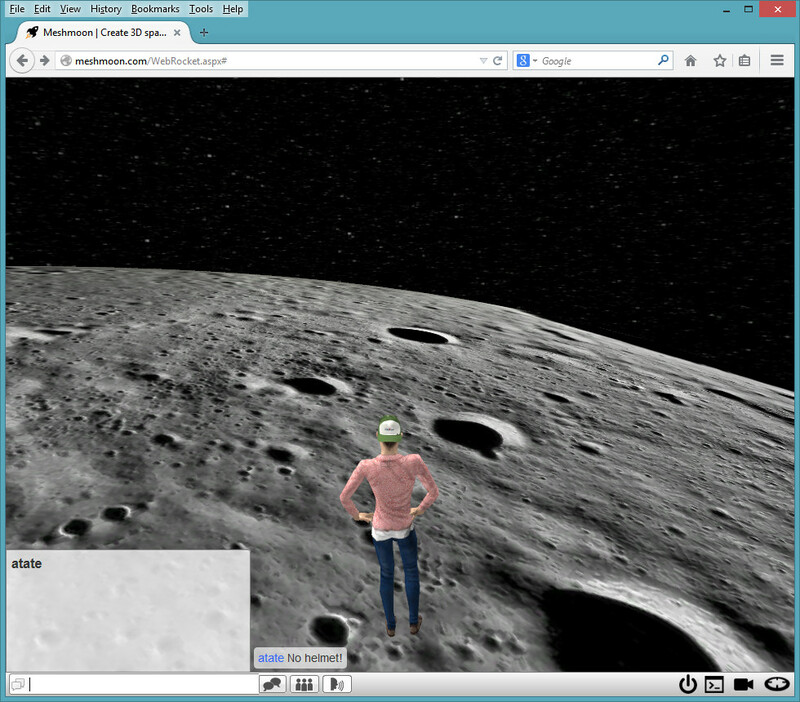 We are are working on improving the avatar aspect of Meshmoon. This will most likely be replacing old realXtend avatars with FBX based avatars. The tricky part is getting those FBX avatars working in both native and web client, there are solutions but they require some effort on the code front. An intermediate step will probably be using Unity to export avatars with Meshmoon asset formats and go from there forward. We have been fighting with avatars a long time, tried all kinds of things like OpenAvatar, Collada based avatars and FBX based avatars over the years. I think for the whole modeling/artist ecosystem its best to go with FBX even if the tech is non open source. Blender, assimp and other authoring/conversion tools are getting better at handling FBX binary and text formats all the time. All major gaming engines afaik primarily use FBX for models and avatars (skeletons/animations) alike. 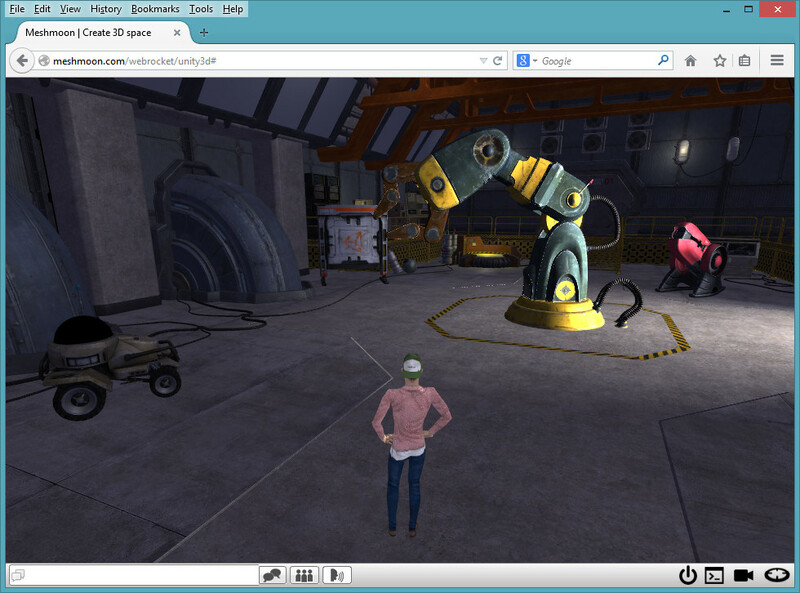 When you are doing the content authoring remember that we are not OpenSim nor SL. There are no prims, just meshes. There are lot of sources nowadays to get meshes made even if you can’t model. Our asset library is quite limited and you won’t be able to build really nice stuff with them. 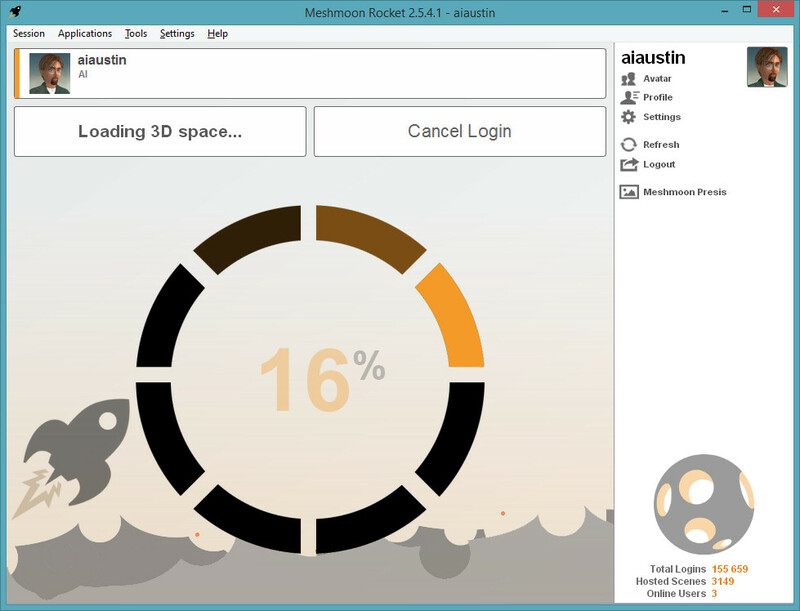 I recommend checking out the Unity Meshmoon Plugin from the start and utilize it’s import and asset store functionality! Good notes.. thanks for that Jonne. 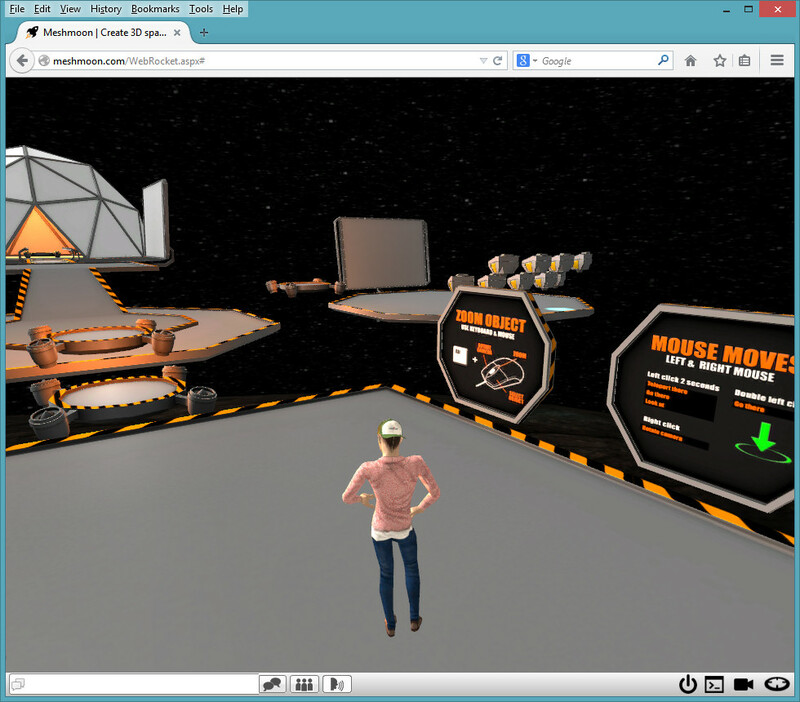 I am using FBX models in other virtual worlds that are emerging and have experimented with export of entire mixed OpenSim prim and Collada mesh builds to Collada and 3DS and then inputting those to Unity3D and via an FBX converter to use elsewhere. Interesting obsevations about avatars. Tricky balance between insisting on open source standards and perhaps enhanced functionality with proprietary formats. A workflow to allow multidirection translation between the various formats using some appropriate interlingua may be a solution, rather than worrying about a specific delivery format needed in a specific platform. Is there a note of how to operate the Circus demo? How to move, how to reach the spaces like the rollercoaster I can see in the advertising images and mentioned in the installed assets? 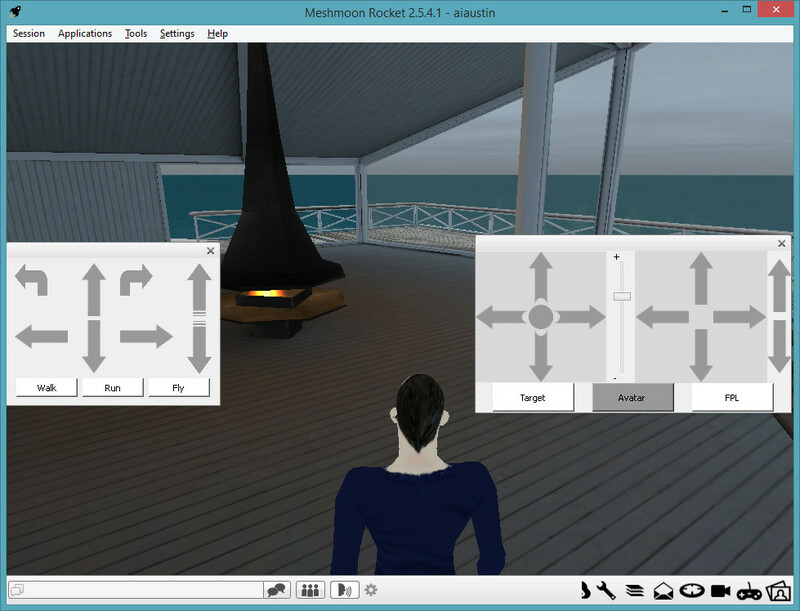 I plan to have a look at building and import of mesh models into Meshmoon when I get chance, and maybe to bring over the OpenVCE collaboration space build we had in OpenSim and that Tipodean converted for me to Unity… to try the Unity exporter. I am not really keen on lots of proprietary formats and, though I appreciate that realXtend and Moonmesh uses OGRE as a base, there seems to be a scene level that is unique to this platform.